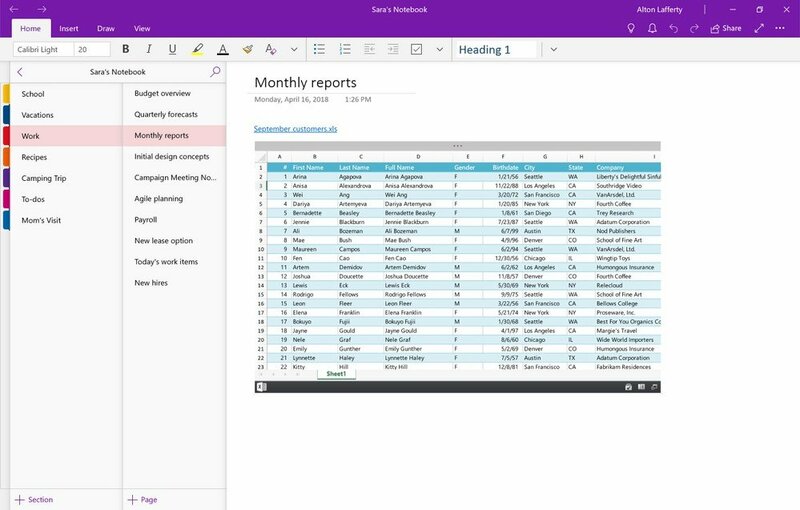 I reckon that OneNote’s being used by about a third of the people I see in meetings. And that means that about two-thirds of people are missing out! Most OneNote usage tends to be personal. It’s a notebook for keeping our own ideas and references. I use it to take notes at meetings, to keep travel plans, or record ideas. Its that scratch pad that most people carry in their briefcase. But OneNote is so much more. I have a OneNote notebook that I share with my family – its got ideas for things to do on weekends, for walks we want to do or photos of things that inspire us – such as ideas to ‘borrow’ for our garden, or possible travel plans for the Christmas break. We can all access the notes, change them, amend them, or add our own ideas. I was recently considering a business acquisition. Rather than email back and forward, I shared a Notebook with my accountant, and between us we were able to analyse the opportunity and share our thoughts as they emerged,. It helped us speed up our work in a way that email wouldn’t have allowed. We had pages that covered their finances, our ratio analysis, discussions about the items that excited us and the ones that concerned us. Another example is a peer-group I belong to for work. There are 8 businesses like ours, all from different corners of Australia and NZ. We have pages to share meeting logistics, agendas, ideas and suggestions, and we keep adding it to when we meet every quarter. Aside from sharing, it’s also useful for taking notes at seminars. Most new executive laptops are pen-focused and it’s great for handwriting notes. I l love the way that OneNote can ready my terrible handwriting and text searches can even work across these scribbled comments. So it’s the perfect tool at seminars and it lets you include photos from the laptop camera – so you can capture the PowerPoint slides rather than scribble them down quickly. But there is one caveat. Don’t make the same mistake I did – make sure your laptop has a front-facing camera. I spent about 10 minutes trying to turn on the front camera on my new laptop only to realise, belatedly, that it didn’t have one! 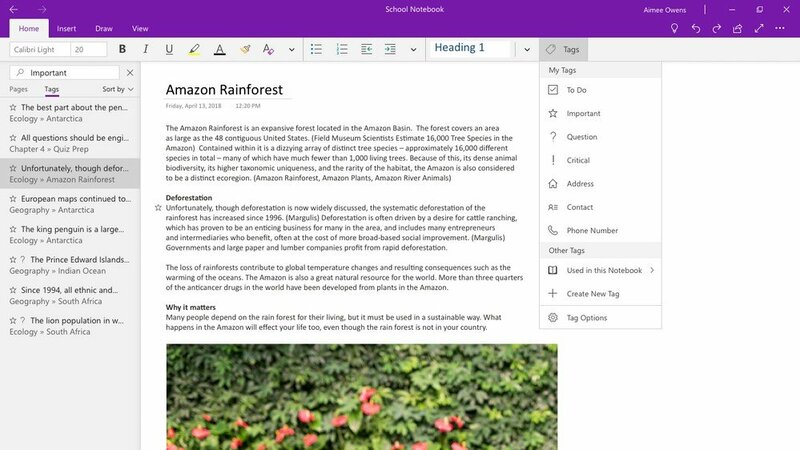 There won’t be OneNote 2019 when Office 2019 comes out – the native Windows 10 version will become the version to use. Even as loyal users throw their hands up in horror, don’t worry – its getting improved and it’s already heaps better than it was. Insert and search for tags: OneNote 2016’s popular tags feature is coming to OneNote for Windows 10! Soon you’ll be able to insert, create, and search for custom tags, making it easy to mark key information and find it later. Tags you create will now roam with you across your devices, and OneNote will even show you tags other people have used in a shared notebook so you don’t have to recreate them yourself. For more, book a Kambium OneNote session! !